We would like you show you amazing blanket based on mosaic charts creating eye-catching pattern. The pattern is easy to follow and will give you lots of fun during crocheting. One Step Beyond Blanket Pattern can be also used for a baby blanket or stroller cover. For more free designs every day follow us on Facebook. The Link to the pattern is below. 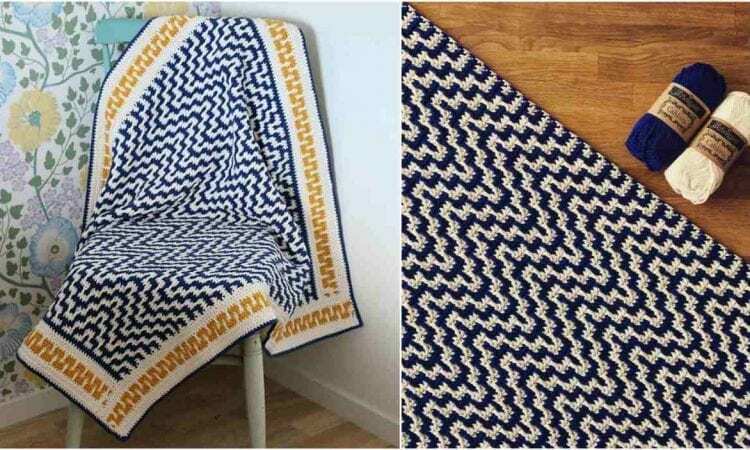 One Step Beyond Blanket – visit the free pattern site. Go here to see more details about hook and yarn. Lovely pattern I am excited to try.